This is part one of our two part article that shows you how to manage your photos within PhotoDay. This first video focuses specifically on creating and sharing galleries. After a shoot, it's time to upload all the photos into the PhotoDay gallery. Start at your jobs tab, and click on the job to which you’d like to add photos. You’ll be taken to that job’s currently empty gallery - but it won’t be empty for long. Click on the “go to uploads” button in the center there, and you’ll be taken to where you can drag and drop your photos and upload them to the gallery. Now, your photos must be compressed in a .zip file for this to work, just keep that in mind. Once you drag and drop that zip file, PhotoDay will automatically begin uploading every single photo contained within. But here’s the really cool thing. You probably had a file structure within that zip file, with your photos organized into separate folders, maybe by team name or age group, or perhaps portraits and group shots. 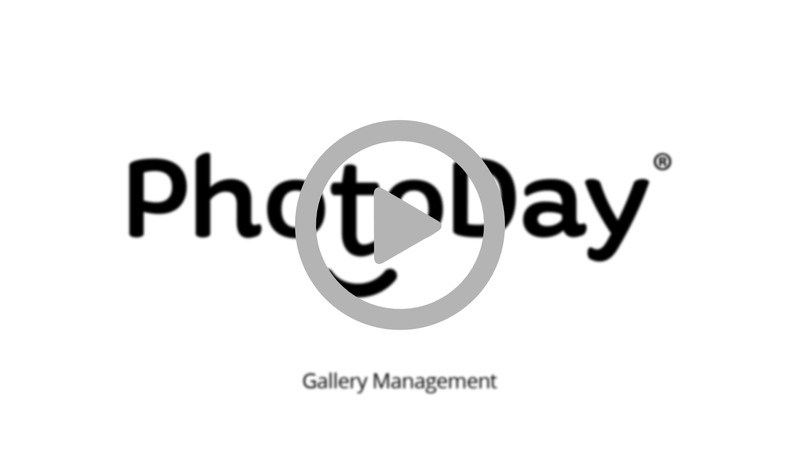 When you import that zip file, PhotoDay preserves those folders as tags, so that you don’t lose that organization when you create the gallery that your customers ultimately see! You can of course create new tags as well. Just click on “manage” in the tags column, and name and add as many tags as you want. Once you’re done, just select what photos you’d like to add to a specific tag, click on the tag icon, and select which tag you’d like to be associated with those photos. One you have your tags set up the way you want them, you can go ahead and preview how your gallery is going to look to your customers. To do that, just click on the preview icon, and you’ll be taken to a separate tab where you can double check that everything is where it should be before your gallery goes live. Once you’re done with that, it’s now time to share your hard work with your customers. To do that, go to the “settings” tab in your gallery. You’ll be automatically taken to the “job settings” panel, where you can review and edit your basic job information again. If that all looks good, go ahead and click on “store settings” on the left panel. Here, you can make sure you’re using the price sheet you want, manage your offers, or select which advance pay credit sheet you’re going to be using, if you’d like to incentivize your customers to pre-pay for their photos and packages. Finally, you can go to the “gallery settings” on the left. Our main goal here is to change our gallery status from “draft” to “published”. Once you do this, any customer who already texted the access code will get a text notification that the gallery is ready to be viewed. We still need to set a gallery access code, so that only people who have that code can see the gallery, and an expiration date, in case you want the gallery to not be visible after a certain date. Once you’ve filled both of those in, click “save” at the bottom, and you’ve now successfully created and made your gallery public. Congratulations! You can now take a breather. When you catch your breath, just head on over to the next article to find out how to promote your new gallery!